#Traevilbean went on a roadtrip around Malaysia in July, and this time, instead of blogging, I decided to do a vlog instead. 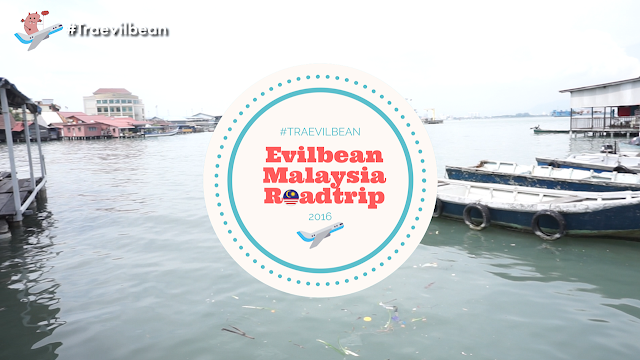 So here it is, my trip from Penang to Cameron Highlands to KL to Malacca and finally Muar! Crank up the volume while you watch these! I spent a lot of effort trying to sync some scenes with the beat of the music! These are some of the new places I went to on this trip. Evilbean tip: Boh Tea Gardens has extremely steep steps to climb. Not suitable for elderly and anyone who do not have the strength in their knees to ascend to the top. There are literally dozens of restaurants selling chilli pan mee, and honestly, I forgot which outlet we went to. Just try your luck and pop into the one that you like, because #YOLO. Evilbean tip to getting the fireworks: If you past by a store selling those "cool sparklers" in the vlog, ask them if they have anything else "special". If you are willing to pay, they are most willing to sell! That's all the places featured for my Malaysia Roadtrip vlog! PLEASE DO GIVE THEM A THUMBS UP and SUBSCRIBE because these videos took me such a long time to edit! Also let me know your comments on these vlogs below, would love to hear them! Follow me on Facebook and Instagram if you haven't!